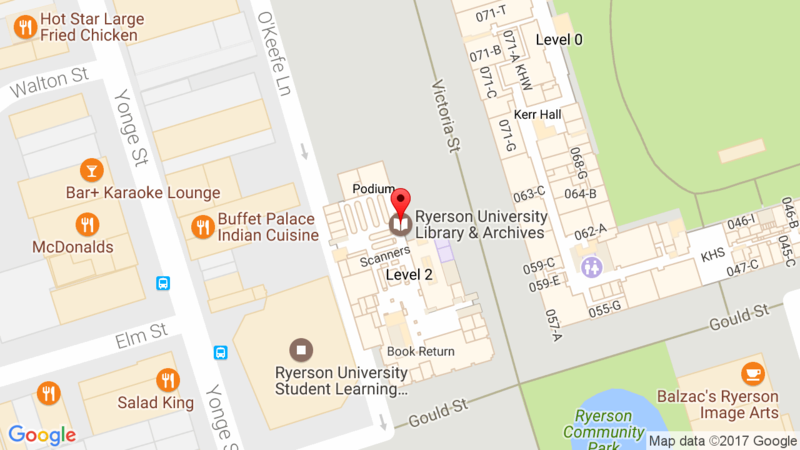 Ryerson University Library & Archives » News » News » GIS Day 2014 – Celebrate with us! GIS Day 2014 – Celebrate with us! We welcome Ryerson students, faculty, and staff, and the local community to a celebration of Geographic Information Systems (GIS) research and applications on this year’s global GIS Day. The event takes place on the 4th floor of the Ryerson University Library & Archives, 350 Victoria Street, Toronto. A light snack will be available starting at 2pm.